Exterior cement plaster (stucco) is an exterior finish consisting of portland cement, sand, mixed with water to form a workable plaster. Admixtures may be added to for various purposes including workability. It’s advantages include utility, relatively low first cost, and minimum need for maintenance. Plaster can be a desirable facing material: hard, strong, fire-resistant. This entry was posted in Santa Cruz Architect and tagged building materials, design, environment on December 7, 2018 by santacruzarchitect. This entry was posted in Santa Cruz Architect and tagged building energy, building technology, environment, non-toxic materials on November 23, 2017 by santacruzarchitect. This entry was posted in Santa Cruz Architect and tagged environment, green building design, non-toxic materials, sustainable design on August 23, 2017 by santacruzarchitect. It’s commonly assumed that buildings are simple, inanimate entities, relatively stable over time. This implies that there is little interaction between a building, what’s in it (occupants and contents), and what’s around it (the larger environment). We commonly see the overwhelming majority of the mass of material in a building as relatively unchanged physical material over time. In fact, the true nature of buildings can be viewed as the result of a complex set of dynamic interactions among their physical, chemical, and biological dimensions. Buildings are best described and understood as complex systems. Research applying the approaches ecologists use to the understanding of ecosystems can help increase our understanding. 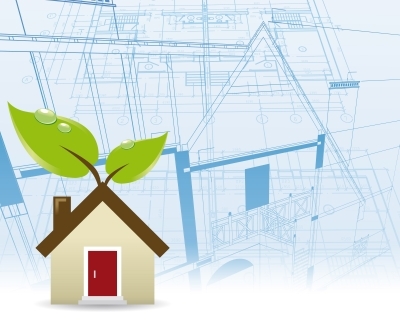 “Building ecology “ has been proposed as the application of those approaches to the built environment considering the dynamic system of buildings, their occupants, and the larger environment. Humans are covered with bacteria on all surfaces exposed to the environment around us – our skin, respiratory, and digestive tracks. Roughly 2,000 organisms occupy each square centimeter of these surfaces (roughly 15,000 organisms per square inch). We shed our outer skin layer each two weeks. The skin cells and the oils and other chemical in and on them as well the bacteria hitch-hiking a ride on them end up on the floor, furniture, and even the walls and windows. When bacteria undergo the transformation from a nomadic life (in air) and become sedentary (settle on surfaces), “they undergo a reversible lifestyle switch.” They “…lose motility and become enclosed in a gooey extracellular matrix,” a kind of film on the surface. There they “sense” their neighbors in the “society” where they find themselves and develop specialized strains to take on different tasks in the community where they find themselves. These evolved bacteria secrete chemicals as part of the “community”. Of course these chemicals are not occurring independent of the conditions surrounding them, the moisture, chemicals, and particles that are also on the surface or in the air immediately adjacent to it. This type of diverse coating is present on virtually all indoor surfaces, and the particles, chemicals, and microbes that comprise it are in a sense, each a dynamic ecosystem. While the window glass itself may remain largely unchanged by the processes on its surface, many other surfaces are not as stable. Flooring materials or floor coverings become worn over time, and this wear depends on their material composition, the use that is made of them as well as the maintenance they are given. The wear may result in release of chemicals and particles into the air, and some of these may end up on other surfaces such as the window. While most of these processes may occur rather slowly, there are some processes that occur much more rapidly, especially those associated with human activities or ventilation with air from outdoors. Chemical interactions produce new chemicals, and moisture on many surfaces support the life, reproduction and evolution of microorganisms. The microorganisms themselves produce chemicals, some of which can alter the pH of the surface and subsequent surface chemistry. Building ecology was first described by research architect Hal Levin in an article in the April 1981 issue of Progressive Architecture magazine. A full discussion of building ecology and extensive resources can be found at the Building Ecology website, buildingecology.com. This entry was posted in Santa Cruz Architect and tagged ecology, environment, green building design, IAQ, Indoor air quality on January 13, 2015 by santacruzarchitect. 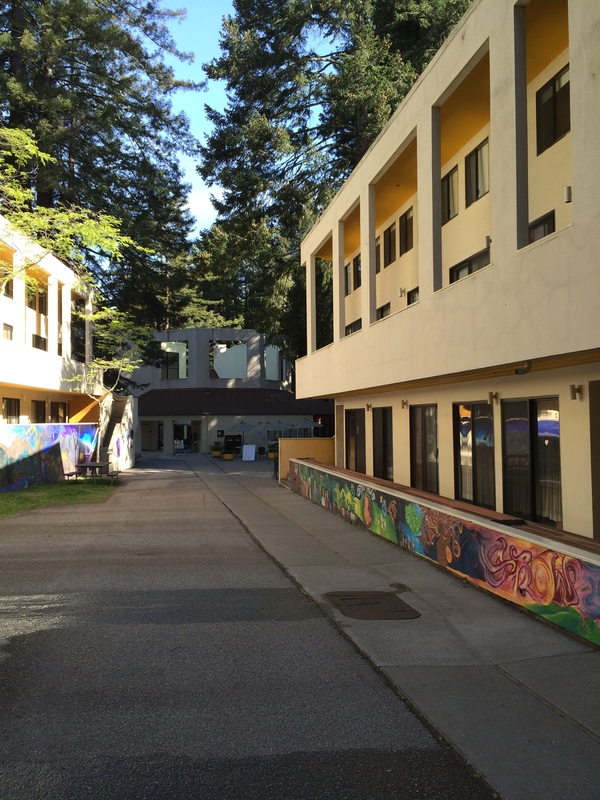 The assemblage of buildings known as Kresge College at UCSC supports social interaction through its Italian hilltop village design, where dormitories overlook the narrow streets and flow of the community. Architects Charles Moore and William Turnbull appear to have considered solar orientation in the college’s design, allowing students to temporally occupy warm and cool zones appropriately with their social interacting needs. 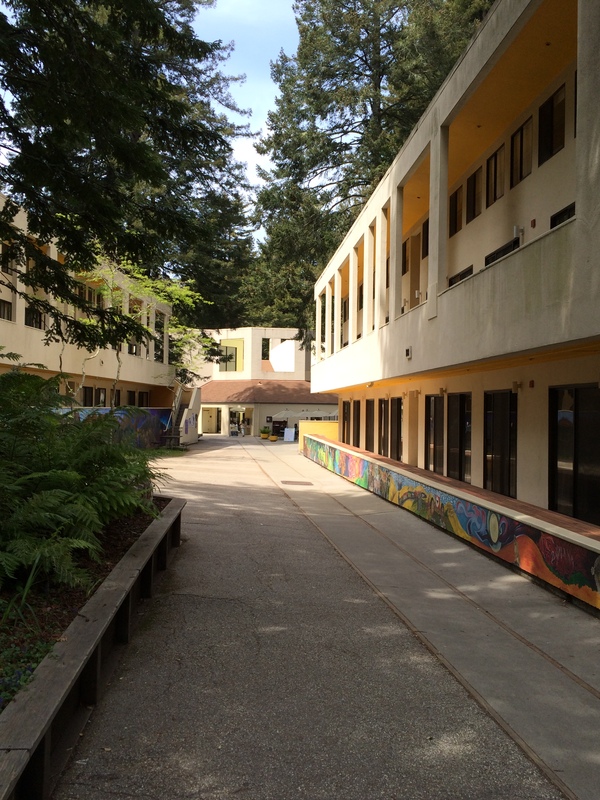 The L-shaped armature comprising Kresge College located on the west side of campus consists of narrow streets lined with dormitories, classrooms, and community murals acting as a nexus guiding students toward areas of assemblage located at each end. According to the Kresge Housing Guide 2011-2012 (as cited in Kaitlin Ryan’s Master’s thesis 2012), “The college prides itself in being ‘a scheme based on a model of a traditional Mediterranean village, with doorways and walkways that open into winding pedestrian streets allowing for easy conversation from balcony to balcony and along the streets of the college itself’” 56. Modeling the assemblage of buildings after an Italian hilltop village suggests students were intended to live within close proximity to one another to increase a sense of unity. The dormitory positioning allows residents to face and observe the streets, permitting association with and responsibility for the community. As residents proceed through the streets and recline in permitted zones of Kresge College onlookers can extrapolate how the architects understood the use of sunlight or lack thereof to manage social interaction. Personally conducted observations of social interaction within Kresge College were conducted on April 22nd and 24th of 2014 at intervals of 9 AM, 12 PM, and 3 PM. The least amount of social interaction appears to occur around 9 AM as students travel by one through dimly lit zones to their morning classes. 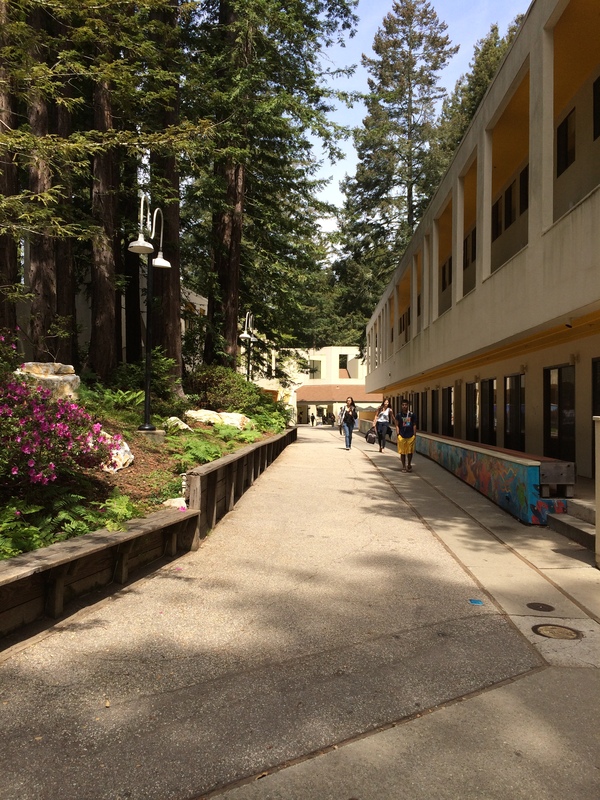 At this time the sun is positioned at about a 60 degree angle towards the east directly behind a set of redwood trees, hindering sunlight exposure and student desire to interact in designated areas. Around 12 PM the amount of social interaction increases as it is lunchtime and students begin to travel in groups ranging from one to four people. The densest and most reliably sunny area is the Owl’s Nest Café located at the north end of the L-shaped College as the sun is at its culmination. At this time social interaction is transient, as students must navigate towards their afternoon classes. Due to the commonality of morning classes the time of day when student free time begins to peak is 3 PM where students divide into groups of about one to three. Less warm zones exist for students to congregate, but are occupied sensibly to unwind from the day. Moore and Turnbull appear to have realized that warm zones increase the flow of students and delineate areas to inhabit, conversely potential gathering areas are disregarded at the times of day when students are likely to be busy and cannot afford social interaction. Kresge College was prudently modeled after an Italian hilltop village, incorporating a design offering a pervasive sense of student involvement within the community wherever one resided. Design architects Charles Moore and William Turnbull seem to have understood the need for a layout that would delineate areas for social interaction, signaling how solar orientation affects public space. Students are busy and cannot afford major distractions; therefore the orientation of the college encourages social interaction at appropriate times of day in accordance with the commonplace student’s assumed productivity levels. To learn more about Kresge College, a helpful resource is About Kresge College and History and Architecture of Kresge College. This entry was posted in Santa Cruz Architect and tagged architectural design, creativity, design, environment, urban design on May 15, 2014 by santacruzarchitect.